Property Finance – Registering a maximum bond makes long-term cents! Registering a larger-than-required mortgage bond has long made sense to home buyers who relish the idea of having easily accessible money available to them in years to come for all those DIY projects. One of the simplest and most cost-effective forms of borrowing on the market today, and it’s a rainy day option that should be seriously considered by prospective buyers, says Mark Beckett, CEO of leading mortgage originator Bond Choice Home Loans. A good thing to know is that before you commit to buying your new home, speak to a qualified Bond Choice consultant in your area about the benefits of registering the maximum possible bond taking into account future renovations and finance needs. Then, once your property has increased in value and your affordability (based on NCA) has improved, you then will be able to borrow the increased available amount. It’s extremely affordable, too, since your monthly repayments are worked out according to the amount you’ve borrowed and not on the total bond you registered. So, when you decide to renovate your kitchen or garden or any other financial need, the credit will be at your fingertips and your monthly repayments are adjusted accordingly. If one is not able to register an amount higher than what they need to lend at the time of buying or was not aware of this opportunity to access funds at the time of buying, there is the option of registering a further loan. Knowing that you are building up a nest-egg as your property accrues value not only gives you a sense of security but also allows for long-term financial planning and saving, he adds. Registering a further loan is a simple process. Beckett points out that the banks have a few requisite criteria in terms of their credit approval policies. “The lender will require that the property be reassessed in order to ensure there is enough accrued equity to qualify for a higher loan amount,” he says. Further, the bank will also need to reassess your affordability since bond repayments may not exceed 30% of a family’s total monthly income. Whether one registers their access to funds when buying the home or later on – a home loan is still one of the cheapest forms of credit available. For more information regarding the home loan products best suited to your individual needs, please contact the Bond Choice Info Centre on 0860 17 17 17 for more information or the number of the branch nearest you. 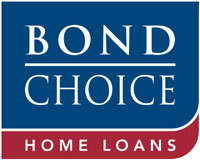 You’re also invited to visit the Bond Choice website www.bondchoice.co.za.